Are you looking for a unique and personalized holiday gift for someone special? 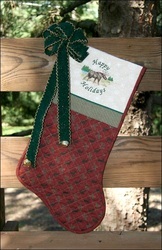 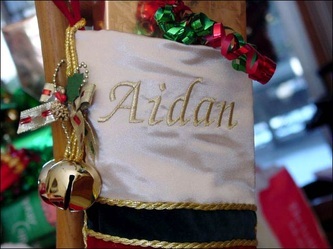 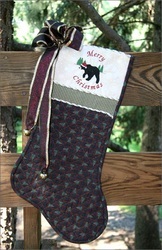 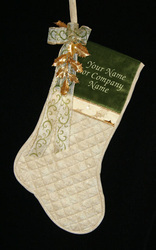 Consider a beautiful Christmas stocking with that person's name, holiday design or greeting embroidered on the cuff. The choices vary from quality cotton Christmas fabrics to satins, velvets and metallic fabrics. 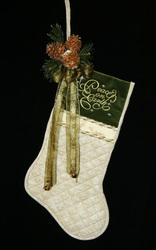 It is finished off with beautiful ribbon and Christmas decor. 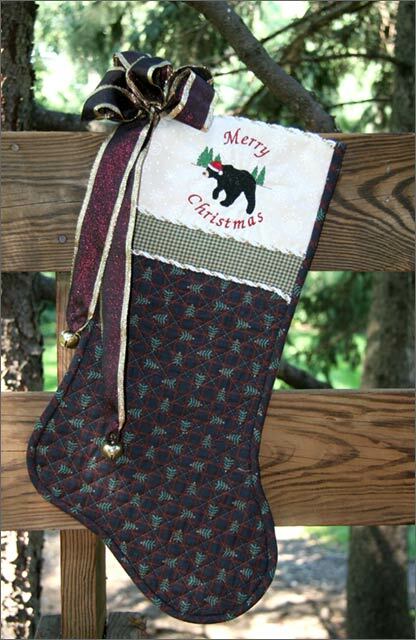 I personally create each unique stocking by quilting and embroidering your message and choosing a color coordinated decor. The prices are determined by fabrics, embroidery design and decor used. 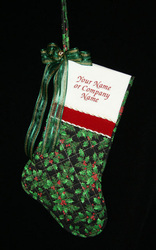 My prices are reasonable considering the time that it devoted to each one. They start at $55 and up. 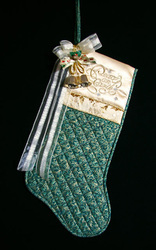 Please surf through my other pages of items available and we are always looking for new ideas. 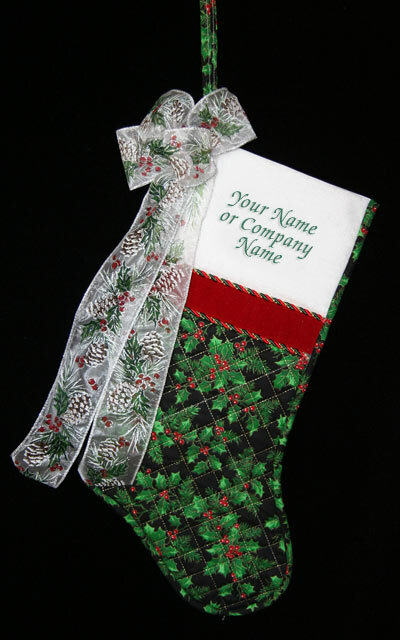 So feel free to call me and discuss what you would like.